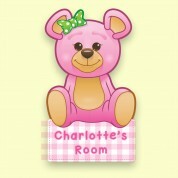 Personalised Pink Teddy Bear Bedroom Door Plate for a girl. 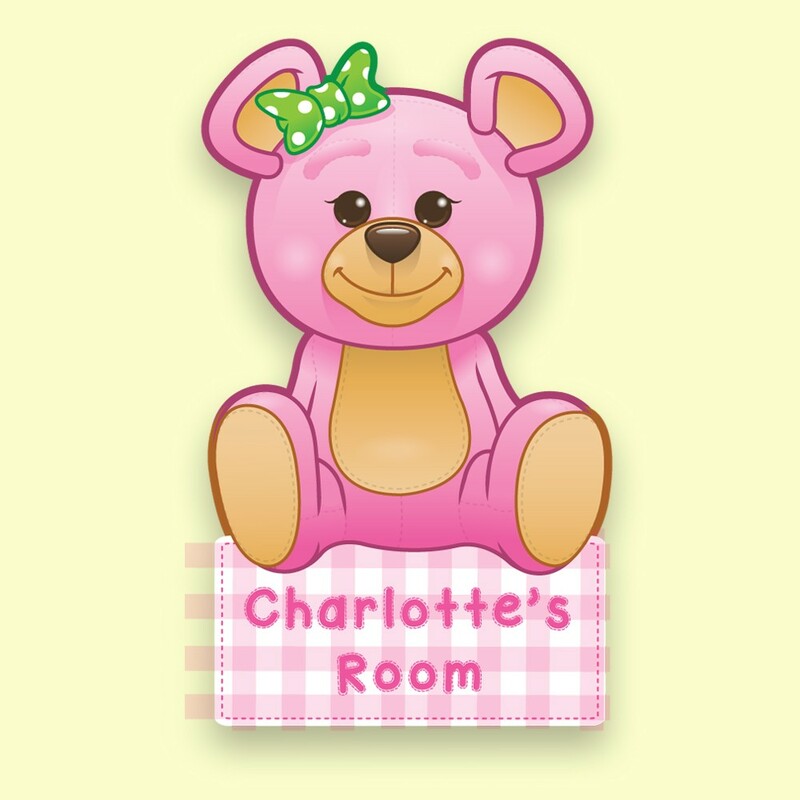 Little Girls love to see their name in print and a Personalised Bedroom Door Plaque is always something they love and treasure. This particular Bedroom Door plaque has been hand illustrated, laser cut to shape and is made to order with the little girl's name (up to 12 characters). For best results on colour and to keep the product light we have UV printed this lovely little gift onto 3mm opal perspex. Supplied with sticky pads for door assembly.